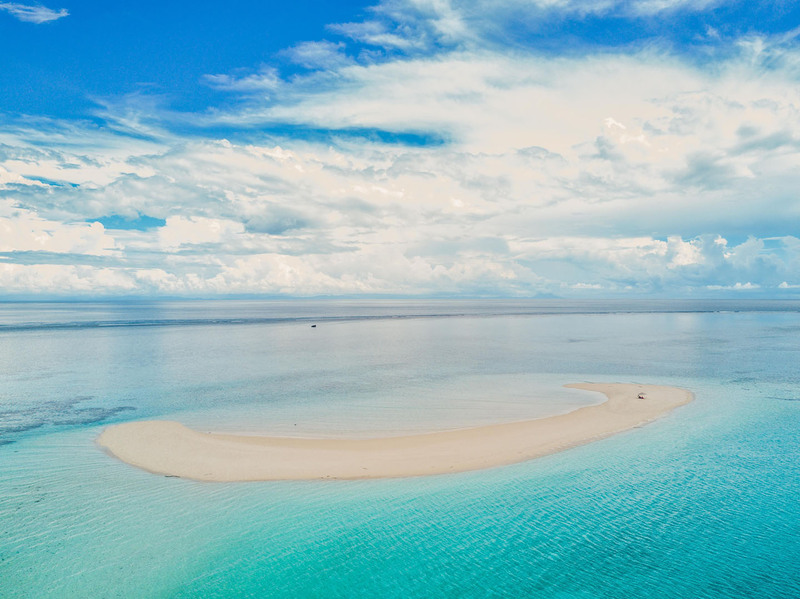 Royal Davui Island Resort - Your Private Paradise - The Travel Agent, Inc.
ROYAL DAVUI ISLAND RESORT Royal Davui Island Resort occupies its own ten-acre island in Fiji’s Beqa Lagoon and is host to just 32 guests at a time. Private . . . romantic . . . remote, the adults-only Royal Davui Island Resort occupies its own ten-acre island in Fiji’s Beqa Lagoon and is host to just 32 guests at a time. 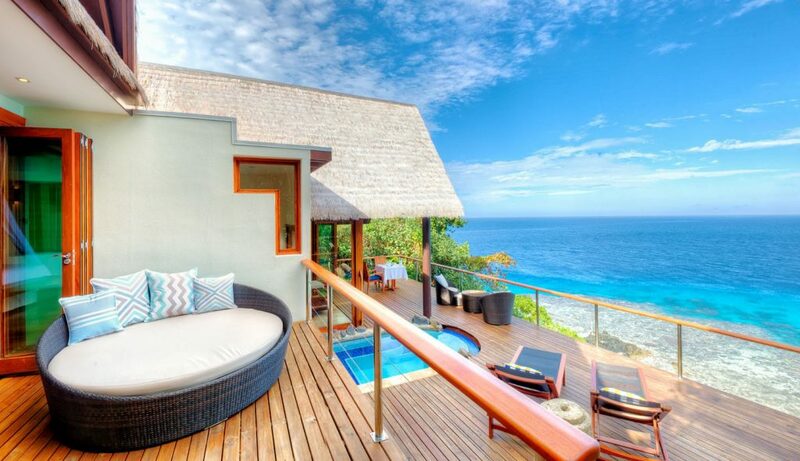 Each of the 16 vales (homes) that dot the landscape features a large deck and your own private plunge pool. Despite its petite size, the resort offers myriad on-island activities such as snorkeling, diving, kayaking or attending a traditional kava ceremony. In the center of Banyan Restaurant is a towering Pacific banyan tree that shelters guests as you dine on fresh seafood and other Fijian delights. 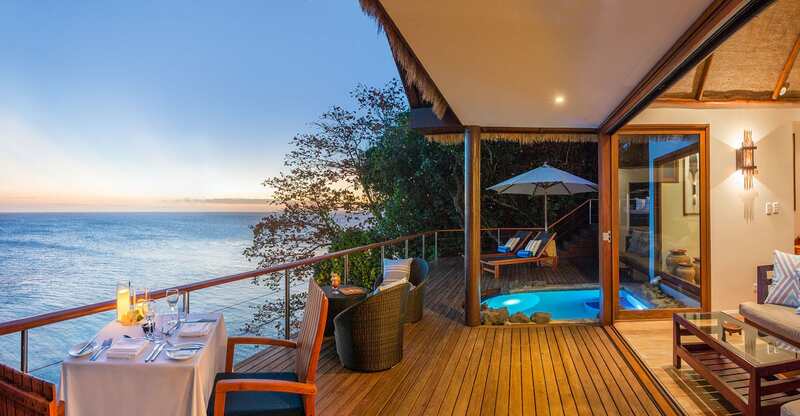 Royal Davui’s elegant tropical design is purposely casual – just the way Fiji should be for your tropical vacation. Paved paths braid through broad-leafed banana trees, vivid heliconia and ancient trees arriving at your sanctuary. With a more contemporary feel than the Fijian norm, Davui captures the modern Fijian lifestyle whilst retaining the charm of the islands. Menus at Royal Davui are designed daily using fresh, seasonal ingredients. Seafood plays a large part in the Fijian diet with fish being offered on the menu daily. Our menus are designed to complement our tropical Fijian climate. All meals are included in the tariff and our chefs are only too happy to accommodate requests to ensure a memorable dining experience. The unmistakable heart of the resort is our majestic Pacific Banyan tree, which ascends through the middle of the Banyan Restaurant and towers over the island. Beqa Lagoon is renowned for some of Fiji’s best diving and snorkeling locations. Everything from soft coral to shipwrecks are found within the protective lagoon reef system. For the more adventurous there is the Big Fish Encounter only 45-minutes from the resort by fast boat. With so many options to keep you busy and entertained Royal Davui invites you to do as much or as little as you please. All dive sites are within 30 minutes of the resort with a number being accessible direct from the beach. Other on-island activities include catamaran sailing, sea kayaks, board games, island walks, bocce & croquet, snorkeling, guided island snorkel, island beach picnic, DVD mini-theater, book exchange, swimming pool, volleyball, cultural village visits, Kava ceremony, local string band, spa treatments, and more. Let us arrange for a Sand Quay picnic to experience that marooned on a deserted island feeling… with delicious food and every luxury, of course. Vomo Island Resort Privately owned Vomo Island is a sleek, stylish resort that offers total isolation. 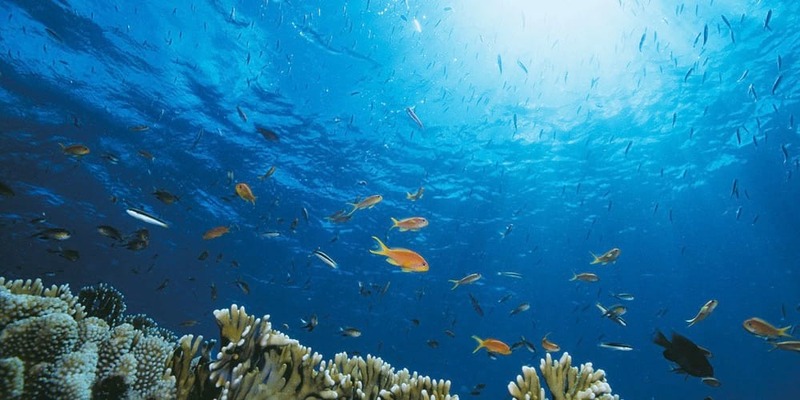 Explore Fiji’s Underwater Wonders Excellent visibility and a large variety of dive sites.